As the national average for teen employment reaches a new low, Chicago’s average dips even lower. A report by the non-profit organization Chicago Alternative Schools Network says the employment rate for both Illinois and the entire U.S. dropped to 27 percent in 2012. In Chicago, the numbers are even worse, dropping from 24 percent to 19 percent. Released this morning, “Trends in Teen Employment in Chicago, Illinois and the United States” says Illinois is now one of the 10 worst states for youth employment. At a hearing to mark the 50th anniversary of President Lyndon Johnson’s War on Poverty legislation, public officials, local schoolchildren and the young unemployed gathered at the South Side’s Chicago Urban League to discuss the latest statistics. Several state and city representatives expressed particular concern for Chicago’s young black male teenagers who, with 89 percent unemployment in 2012, suffer from the lowest employment statistics of any demographic, which is also slightly worse than the national average of 82 percent. The statistics for this subgroup were bleak regardless of economic circumstance; only 33 percent of black male teens with a household income bracket of $100,000 to $149,000 were employed in 2012. Only 4 percent of black male teens from low-income households in Chicago were employed in 2012. “Considering it’s so long since the War on Poverty began, the number of black teens that continue to be unemployed is very shocking,” said Michelle Morales, associate director of the Alternative Schools Network, a group of independent schools and education organizations that work for inner-city education initiatives. Several teenagers who have taken part in summer jobs initiatives were invited to speak about the struggles they have faced in finding work. “How can you go up to a man in a nice suit who looks like he’s got everything together, and tell him you’re looking for a job? He must be judging you, how can he not be?” asked Deleon Bush, a 19-year-old who took part in a summer jobs program through the community action group the Chicago Area Project. “It’s easier to beg for money than to send out hundreds of applications and get no responses,” he said. All of those present at the hearing agreed that the problem was not a lack of young people seeking jobs. For city-sponsored summer work programs in 2013, more than 60,000 teenagers applied for 22,000 job openings. “We spend more money on incarceration than on education. The playing field is no longer level. We’ve been too busy building prisons and not building lives,” 31st District state Rep. Mary Flowers said. “When I was your age, for those who wanted to go to college, it was there for them, junior college was there for them, the trades were there for them, that’s not the case anymore,” she said to the youth present. Several teenagers present asked for more state funding to increase summer job program opportunities, but officials hope to include more private-sector partnerships for future programs. 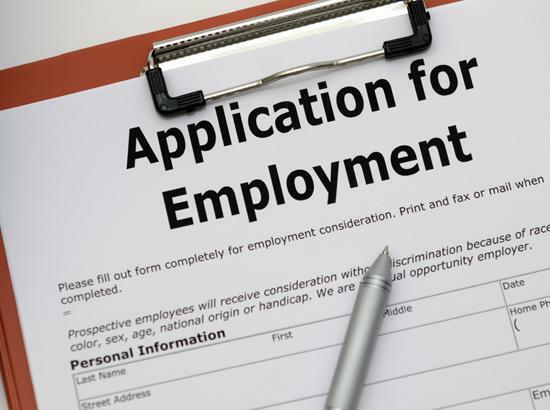 “It will never be the case that the government will be able to take on all the demand for youth jobs,” said Commissioner Evelyn Diaz of the Department of Family & Support Services. “We need the private sector to step up and get onboard. That’s how we can get you employed next summer and through the rest of next year,” she said.